A typical compressed air or gas system produces thousands of gallons of oil contaminated condensate every year. Collecting, storing and disposing of this oily condensate can be messy and expensive. We carry and extensive line of condensate systems that are designed to separate the oil and water found in your compressed air system condensate so that they may be disposed of legally and without harm to the environment. 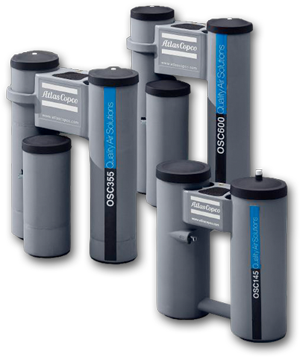 Atlas Copco’s OSC range of separators, with multi-stage oleophilic filtration, can separate all kinds of condensate from all compressor technologies with minimal maintenance. 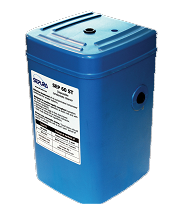 For smaller systems, the innovative SEP 60 ST is the first disposable oil water separator of its kind. Whether you require a no air loss capacitance drain, motorized ball valve drain, or a simple timed solenoid drain we have your solution.